The increased use of biodiesel has increased the risk to the diesel infrastructure of data centers and other facilities first noted with the adoption of ultralow sulfur diesel (ULSD) in 2006. The U.S. Environmental Protection Agency (EPA) documented severe and rapid corrosion in the storage tank portion of the diesel infrastructure caused by changes to the chemical composition of diesel fuel mandated by the U.S., U.K., and European Community. At the same time, engine-generator OEMs noticed an increase in warranty claims on their systems, including injectors. Solving this problem will require a new generation of filters tested against the updated industry standard, Society of Automotive Engineers SAE J1488_201010, to remove emulsified water. Check with state regulations to confirm whether biodiesel is mandated. Check facility records to determine when the fuel was last replaced. Unfiltered older fuel will have more issues. Create a maintenance routine for diesel fuel that will include twice-annual fuel samples and tank inspections. If the fuel is found to be acidic, drain and clean the tank, and replace the fuel. Test a sample of the replacement fuel, and all future deliveries from the supplier. It is important that all U.S. operators check their fuel supplies, because suppliers are not required to disclose biodiesel content of 5% or less. So a distributor may say there is no biodiesel content, when in fact there is. In addition, while a state may not have mandated the use of biodiesel, distributors have financial incentives to supply biodiesel blends. Test for biodiesel content, water content with Karl Fisher titration (less than 200 ppm), ISO 4406 particulate content (less than 18,16,13), and TAN (Total Acid Number, less than 0.08 maximum per World Fuel Charter). Fuel samples should be taken from the bottom of the tank. Karl Fischer titration is a method to determine the trace amounts of water in a fuel sample. It can measure the amount of entrained water in fuel, as well as emulsified and free water. Other tests cannot sense entrained water. Sample the belly tanks or day tanks attached to the generators. If possible, visually inspect the insides of these tanks. Corrosion in these tanks points to corrosion in the large storage tanks. An inexpensive fiber optic camera can assist in the inspection. Storage tanks are designed to handle the hydrostatic pressure (weight of the fuel), which is greatest on the tank bottom. Since corrosion is also concentrated on the bottom of the tank, corrosion will pit the tank wall and floor, thereby thinning the wall, increasing the likelihood of fuel leaks or tank failure. If corrosion is found, replace the fuel. Before adding new fuel, ask for a fuel sample from the supplier’s distribution tank before delivery, and test for biodiesel content, water content with Karl Fisher titration, particulate content against ISO 4406, and TAN (Total Acid Number). If the sample fails any test, inform your supplier and request fuel within the acceptable specifications. The EPA states, “Minimizing water presence is and has always been an important part of UST maintenance. However, diesel blended with biodiesel can hold in solution more water than diesel without a biodiesel component. This means more water is likely arriving in USTs entrained (emulsified) in fuel today since biodiesel is more common in diesel than prior to 2007.” Fuel in the large distribution storage tanks of suppliers also absorbs entrained (emulsified) water, so even new fuel could already have substantial amounts of entrained (emulsified) water. Install a permanent fuel polishing system on the storage tank if fuel fails any of the tests. The polishing system must use the new generation of filters specifically designed to remove entrained (emulsified) water to SAE J1488_201010 standards with of a minimum 92% efficiency. Fuel should be filtered three times a week, and all the fuel filtered within 8 hours. A letter confirming SAE J1488_201010 test results of greater than 92% must be supplied by an accredited testing organization authorized by SAE, such as Southwest Research Institute. Corrosion resulting from acidity caused by emulsified water dramatically increases the risk of an emergency generator failure and increases the costs of maintaining the data center diesel infrastructure. Corrosion affects storage tanks, emergency backup generators, diesel engines, fittings, and piping. Removing emulsified water from diesel fuel will control acidification and corrosion; drying the fuel controls microbial growth. Fuel experts and data center operators first noticed corrosion problems shortly after the widespread adoption of ULSD. ULSD contains various additives (less than 1% of the fuel by volume) and fuel components (more than 1%), including biodiesel. These additives and fuel components absorb water which bonds to the diesel as emulsified water. The molecules of water, biodiesel, and other additives are all polar in nature. The emulsified water supports a bloom of microbes, and some of these microbes produce acids that corrode metal in their environment. Before 2006, LSD (low sulfur diesel) fuel contained 500 parts per million (ppm) sulfur. ULSD (15 ppm sulfur) was introduced to help fight acid rain. While LSD was phased out of the market in 2010, a 2007 research paper “Moisture Absorption in Biodiesel and its Petro-diesel Blends” (B.B. He, 2007) makes a useful point about how much water LSD and ULSD can absorb. He notes that 100% biodiesel absorbs 15 to 25 times more emulsified water than LSD. Neither LSD nor ULSD fuels are polar so they do not absorb much emulsified water. In addition to lubrication concerns, biodiesel was added to ULSD in the U.S. for a variety of environmental and financial reasons, as well as government concerns about national dependence on foreign oil supplies. However, the process of scrubbing the sulfur changed the chemistry of the fuel so ULSD provided less lubrication, resulting in immediate wear to diesel engines. An additive was introduced to ULSD to restore the needed lubrication. Soon after, biodiesel was also added as a fuel component, in ever increasing percentages, 2% (B2), 5%(B5), 7% (B7), 10% (B10), and now, 20% (B20). The more biodiesel, the more emulsified water. Biodiesel blend of 5% or less does not need to be disclosed to the end user. Before ULSD, filters could remove all freestanding water and particulate, since LSD is not polar and there was very little emulsified water. Since both biodiesel and water are polar, water bonds tightly to the fuel as emulsified water. Pre-ULSD filters cannot efficiently remove the emulsified water from biodiesel blends. Even before the U.S. Environmental Protection Agency (EPA) detailed this rapid and severe corrosion, NFPA 110 (2013) cautioned against the use of biodiesel for standby and prime engine-generator sets. In those instances, where the use of biodiesel was unavoidable, the NFPA required its replacement annually, but with “rapid and severe corrosion,” even 12 months is too long a time to store acidified fuel. NFPA recommends using diesel that has been stored that long for other purposes. The EPA’s July 20th 2016 final report on corrosion states, “The major finding from our research is that moderate or severe corrosion on metal components in UST [underground storage tanks] systems storing diesel fuel in the United States could be a very common occurrence… variables that were the closest to being significant predictors [of corrosion] were particulates in the fuel and entrained (emulsified) water content in the fuel.” Drying the diesel by removing all the water, both free standing and emulsified, can control corrosion. This final report has worldwide significance because countries concerned about the issue have been tracking EPA findings. SAE J1488 tests “the ability of a fuel/water separator to separate emulsified or finely dispersed water from fuels.“ Well-known organizations such as Southwest Research Institute (SwRI) can test filters for compliance to the standard and provide reports to data center managers. In 2010, SAE updated the test from J1488_199708 to J1488_201010 to address the emulsified water concerns caused by ULSD and biodiesel blends. SAE updated J1488 in 2010 to reflect the lower interfacial tension (IFT) in ULSD and biodiesel blends. 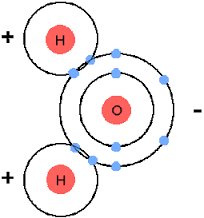 IFT is the ability of two liquids to repel each other. Since biodiesel in hydroscopic, more water is absorbed and less repelled, so its IFT is lower. The IFT of ULSD is tested at 34.5 mN/m, biodiesel at 15 mN/m (B20). The 2010 update created a standard IFT against which all filters could be compared. A new generation of filters designed specifically to filter for SAE J1488_201010 IFT levels is required to remove emulsified water, and hence control corrosion. In June 2016, the United Kingdom adopted SAE J1488_201010 as a code requirement. Excessive emulsified water causes injector pitting. Acidic diesel fuel causes injector pitting and corrodes other generator parts it touches. Monthly engine generator testing adds to the problem as acidic fuel remains on metal components after each test. Excessive particulates cause injector pitting. Deposits are left on injectors, making them sticky. Biodiesel contains less energy than ULSD, so increasing biodiesel content reduces power output a small amount. Biodiesel freezes at a higher point than ULSD, so this needs to be addressed. When injector pitting and corrosion are great enough, the generator will not be able to hold the required HPCR pressures and will fail. In addition, the pitting of the injectors can cause the generator to become over fueled, increasing heat, emissions, and fuel consumption. The corrosive/pitting affects injectors and spoolers on all diesel engines. The higher the psi of the engine, the greater the risk of damage and failure. Corrosion in storage tanks, fittings, and piping dramatically increases the risk of a backup generator failing. For example, a fuel supply pipe that fails or plugs will prevent a generator from working during an emergency. Warrantees on diesel engine-generator sets exclude damages caused by fuel-related issues. That means that vendors can deny warranty claims if the fuel does not meet the specification set forth by the vendor. The maximum emulsified water content in most warrantees is 200 parts per million (ppm), which is well below the observed amounts commonly found in tanks with biodiesel blends. Caterpillar’s warranty specifies a pre-emulsified water/corrosion water and particulate maximum of 500 ppm. Manufacturers generally enforce this requirement by requiring a fuel sample with each warranty claim. Caterpillar’s service document SEBU6251-14 from 2014 (before corrosion was commonly recognized) reads, “The repair of any engine or after treatment components due to such contamination or due to other biodiesel impacts would not be covered under the Cat warranty for materials and/or the warranty for workmanship.” Since corrosion is such a new issue, it means Cat’s warranty could be voided the first time biodiesel is used in the engine. All the other OEM warrantees include similar statements. Removing emulsified water from the fuel is key to maintaining the integrity of diesel fuel systems. SAE J1488_201010 tested filters can remove the emulsified water, thereby restricting microbial growth, acidification, and dramatically reducing corrosion. Filters need to achieve a performance level of greater than 92% to keep water below 200 parts per million (ppm). Below is a short checklist to help address any fuel issues, with detailed explanations following. Check with state regulations to confirm if biodiesel is mandated. Check your records as to when the fuel was last replaced. Unfiltered older fuel will have more issues. While the state may not mandate biodiesel, there are financial incentives to distributors to supply biodiesel blends. Note that suppliers are not required to disclose any biodiesel content of 5% or less, so the distributor may say there is no biodiesel content, when in fact there is. Take fuel samples from all fuel tanks. The sample should be taken from the tank bottom. Test for biodiesel content, water content with Karl Fisher titration (less than 200 ppm), ISO 4406 particulate content (less than 18,16,13), and TAN (Total Acid Number, less than .08 maximum per World Fuel Charter). It may be quicker and easier to sample the belly tanks or day tanks attached to the generators. If possible, have a visual inspection of the inside of your belly and day tanks. If there is any corrosion in these tanks, it will point to corrosion in the large storage tanks. All storage tanks are designed to handle the hydrostatic pressure (the weight of the fuel), which is greatest on the tank bottom. Since corrosion is also focused on the bottom of the tank, corrosion will pit of the tank wall, thereby thinning the wall, increasing the likely-hood of fuel leaks or tank failure. There are inexpensive fiberoptic cameras on long hoses available on the market to assist in the inspection. If corrosion is seen, replace the fuel. Before adding new fuel, ask for a fuel sample from the suppliers distribution tank before delivery, and test for biodiesel content, water content with Karl Fisher titration, particulate content against ISO 4406, and TAN (Total Acid Number). If the sample fails any test, inform the supplier and request fuel within the acceptable specifications. The EPA report states, “Minimizing water presence is and has always been an important part of UST maintenance. However, diesel blended with biodiesel can hold in solution more water than diesel without a biodiesel component. This means more water is likely arriving in USTs entrained in fuel today since biodiesel is more common in diesel than prior to 2007.” The large distribution storage tanks are also absorbing entrained (emulsified) water, so new fuel could already have substantial amounts of entrained (emulsified) water. Install a permanent fuel polishing system on the storage tank if fuel tests show any failures in the tests. The polishing system must use the new generation of filters specifically designed to remove emulsified water to SAE J1488_201010 standards with of a minimum 92% efficiency. The fuel should be filtered 3 times a week, and filter the complete volume of fuel in an 8-hour period. A letter confirming SAE J1488_201010 test results of greater than 92% must be supplied by an accredited testing organization authorized by SAE such as Southwest Research Institute. 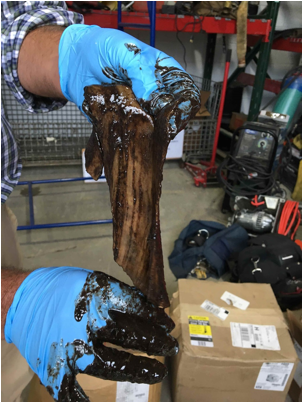 While most diesel consumers did not immediately recognize the issues with corrosion, the fuel experts did. Below is a timeline of recognition of acidification caused by microbial growth, starting with the most recent and working back. BS5410-3 made it code that any filters used on critical emergency backup systems conform to SAE J1488_201010. SAE updates J1488_199708 to J1488_201010 to test the efficiency of filters to remove emulsified water from the newly introduced ULSD and biodiesel blends (B20). A 92% efficiency can keep water below 200 ppm, which is the OEM manufacturers’ warranty limit. In SAE J1488_201010 testing, ULSD and biodiesel (B20) are saturated with 2500 ppm of emulsified water, which is then filtered. The water content of the filtered fuel is compared to the water content of the original saturated fuel. SAE then assigns an efficiency rating to the filter and reports its findings to the filter supplier. (SAE Technical Standards Board, October 2010). The research paper “Moisture Absorption in Biodiesel and its Petro-diesel Blends” (B. B. He, 2007), compares the water absorption of 100% LSD to 100% biodiesel. IBM has a group within the Global Technology Services division that designs, builds, migrates, and upgrades data centers for its customers. It reports that the majority of data centers in Canada have been in the Province of Ontario, which mandated the use of biodiesel with an increasing concentration, initially B2, and B4 at time of writing. IBM was initially concerned about the reliable operation of the generators at these facilities, especially because data centers often store fuel is stored for long periods of time, unlike road or construction applications. In particular, IBM worried about the effect of the emulsified water on its engine-generator set infrastructure. Reduced engine-generator set life and increased repair costs were major concerns. Over time, it became clear to IBM that the entire fuel storage and delivery system, metallic and non-metallic components included, is at risk due to the corrosive properties of degraded biodiesel. A major excavation required to repair or replace would be a major concern. Fuel filters tested in systems using B2 pass the “bright and clear” test, which wasn’t deemed rigorous enough to give a true indication of the condition of biodiesel fuel. IBM has been offering their clients fuel-conditioning systems that meet or exceed a more applicable standard from the SAE J1488_201010. Franklin Company in the NYC area responded to three separate fuel-related diesel generator failures in one day at three different organizations. Problems caused by ULSD can occur in many application types. Failure 3 is typical of failures at a very common type of facility. These failures give a good representation of some of the failure points data center users can experience: corrosion of tanks, failure of pipes and fittings, and biomass plugging filters. Failure 1: Franklin Company responded to a service call with a reported interstitial alarm. A service tech removed the sensor and found a mixture of water and fuel on the sensor. The tech removed a small amount of fuel and water mixture and then reinstalled the sensor. The sensor did not go into alarm. Franklin initially thought that recent rains had worked its way past the interstitial cap. A few weeks later, Franklin received a new service call with the same complaint. This time the tech found a significant amount of water and some fuel in the interstitial. Since the tank had not been showing any losses, Franklin thought that the outer wall was leaking groundwater and fuel into the annular space from outside. It would not be so unusual for a site to have contamination. The interstitial failed a vacuum test. The primary tank passed a second test was to confirm that it was tight. A spill was called in to the DEC for a non-tight tank system. Franklin Company contracted a third party to perform the same tests, with the same result. As one result, Franklin excavated and checked the tank top for breaches or leaking bungs to the interstitial. All fuel was removed, the manway removed, and a confined space team entered and began cleaning a very dirty tank. The team found the steel tank had many holes on the bottom. What happened with the tests? The annular was leaking, but only between the primary and the secondary. Tests on the primary showed “tight,” but we were really testing only the secondary tank, as the primary tank was open to the secondary. The larger amounts of water in the secondary was caused by the head pressure pushing the tank bottoms out of the bottom of the primary. The annular space on an ACT 100 is very small, so a small amount of water would migrate to the riser, showing a disproportionate amount of water versus fuel. When the tech removed water, it would look dry for an extended period of time until more water and fuel would be forced through the bottom of the tank and work its way to the annular riser. The tank was not salvageable and had to be removed. There was no leakage to the environment as the secondary was intact and tight. Note the tank was 10 years old. Failure 3: A government agency reported a slow flow of diesel fuel dispensers. A service technician dispatched to the site found that two dispensers had flow rates of only 2-3 gallons per minute. Two dispensers had no flow at all. The internal filters were removed and replaced, and the pumping unit strainers (suction style units) were removed and cleaned and then re-installed. The facility was down for two days. In this case, microbial “blooms” and excess particulates had created biofilms that plugged the filters. Chuanfang Yang, S. L. (2007). Understanding emulsified water filtration from diesel fuels . San Antonio: 8th International Filtration Conference. Groysman, A. (n.d.). Corrosion in Systems for Storage and Transportation of Petroleum Products and Biofuels Identification, Monitoring, and Solutions. New York, Philadelphia: Springer Science & Business Media. PEI Petroleum Equipment Industry. (2013). Recommended Practices for Installation of Bulk Storage Plants (PEI/RP800-13). Petroleum Equipment Industry. R.L. McCormick, T. A. (2005). Survey of the Quality and Stability of Biodiesel and Biodiesel Blends in the United States in 2004 . National Renewable Energy Laboratory, Golden, Colorado. Steel Tank Institute. (2016). Recommended Practice For Storage Tank Maintenance R111 Revision . Steel Tank Institute , Lake Zurich, IL. European Automobile Manufacturers’ Association ACEA. (2013). World Wide Fuel Charter 5th Edition. ASTSWMO Tanks Subcommittee’s Alternative Fuels Workgroup. (2013). Compatibility of UST Systems with Biofuels. Association of State and Territorial Solid Waste Management Officials (ASTSWMO), Washington, DC. B. He, J. C. (2007). Moisture Absorption In Biodiesel and Its Petro-Diesel Blends. Food & Process Engineering Institute Division of ASABE. Moscow, Idaho: American Society of Agricultural and Biological Engineers ISSN 0883 8542. Battelle Memorial Institute. (2012). Corrosion in Systems Storing and Dispensing Ultra Low Sulfur Diesel (ULSD), Hypotheses Investigation. Battelle Memorial Institute, Columbus, OH. British Standards Institution. (2016). Code of practice for oil firing Part 3: Installations for furnaces, kilns, ovens, oil-fuelled standby generators and other industrial purposes. BSI Standards Limited. NFPA110. (2013). NFPA 110 Standard for Emergency and Standby Power Systems. Quincy, MA. SAE Technical Standards Board. (October 2010). Emulsified Water/Fuel Separation Test Procedure. Thompson Reuters. Steel Tank Institute STI. (2013). Newer fuels and storage tank corrosion. Steel Tank Institute STI, Lake Zurich IL. U.S. Environmental Protection Agency (July 2016). Investigation Of Corrosion-Influencing Factors In Underground Storage Tanks With Diesel Service. United States Environmental Protection Agency, U.S. Environmental Protection Agency Office of Underground Storage Tanks, Washington DC. Uptime Institute. (2010). Uptime Institute Technical Paper: Biodiesel. New York. Bernard Oegema PE Data Centre Consultant, IBM Global Services, Data Centre Services. 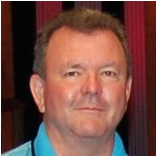 He has been in the critical facilities business for more than 30 years, working with various manufacturers of critical power and cooling infrastructure. Currently he is supporting IBM clients in the migration, consolidation, operation, upgrade, design and building of data centers. 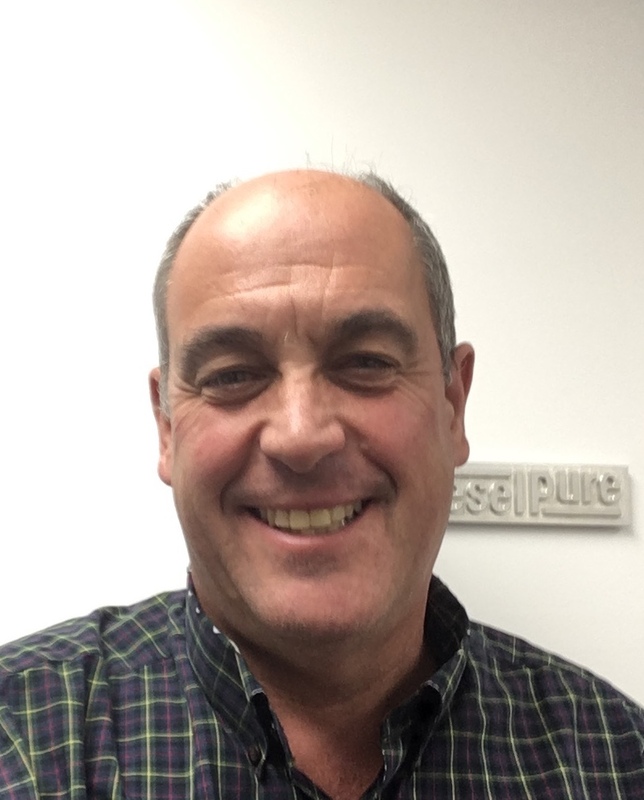 Pat Smyth is Vice President of DieselPure. DieselPure is focused on fuel polishing for emergency backup generator storage. Since 2011, DieselPure has field experience in removing emulsified water from ULSD and biodiesel as per SAE J1488_201010. 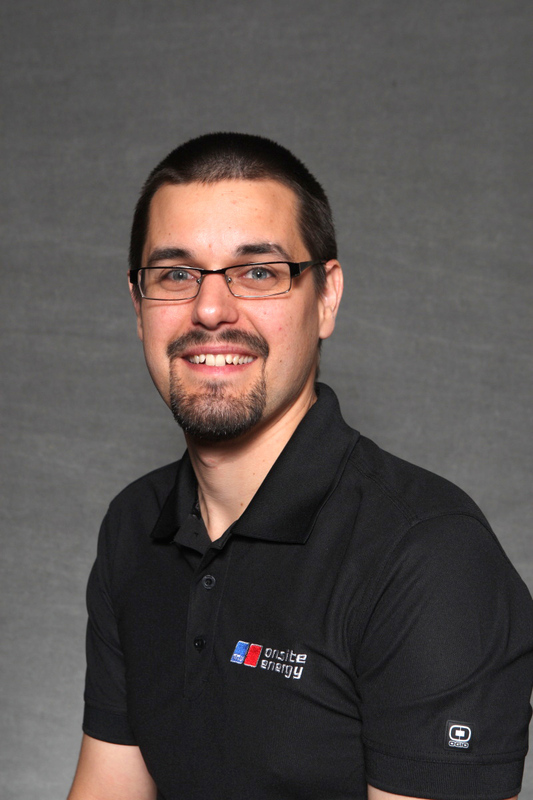 Brian Ponstein is Regional Sales Engineer, MTU Onsite Energy, a Rolls-Royce Company. At MTU, Mr. Ponstein is responsible for analyzing market needs and requirements in North America and working with engineering to provide solutions for MTU Onsite Energy’s customers. William (Bill) Klein is President of Franklin Company Contractors. He is also a New York City (NYC) Master Electrician, NYC Licensed Plumber, NYC Licensed Pump and Tank Contractor, NYC Licensed Precision Tank Tester, member of PEI, and past president of NYC Tank Installers. Mr. Klein is the third generation president of Franklin Company. Martin Wesolowski is Senior Associate Vice President at LiRo’s petroleum and chemical storage tank design group. 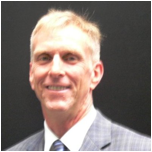 He has been involved with design of petroleum and chemical UST and AST tank and remediation systems for over 23 years. Mr. Wesolowski is a technical director on LiRo’s New York City Department of Buildings (NYCDOB) Special Inspection Agency Registration.